Home › Uncategorized › Is there a better way to remember Thomas? Is there a better way to remember Thomas? 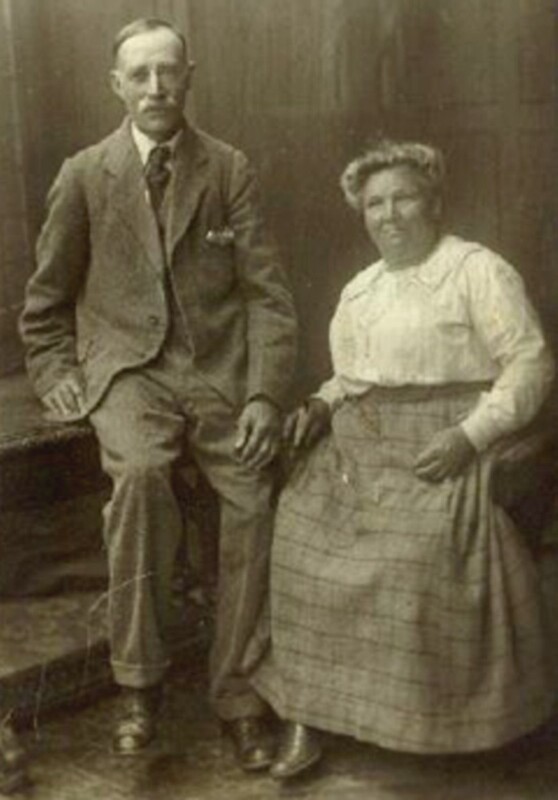 Thomas Marshall Coomber, my great grandfather, worked on farms from the age of 12. In those days before tractors, milking machines and other mechanical aids, it was long hours of often tough, physical work. My father spent his childhood with his grandparents in the village of Blackham, East Sussex, where the couple had moved at the end of the 19th century. He described the old man’s life: ‘He would get up at four in the morning and light the fire so he could have a cup of tea before going off to milk the cows. That meant the house was nice and warm when the rest of the family got up a couple of hours later. On dark mornings he lit his way with a paraffin lantern. ‘After milking, he would load the milk churns and deliver them by horse and cart down the hill to Ashurst station, returning home in time for his breakfast. ‘Although officially a dairyman, Granddad could turn his hand to any job on the farm and was steeped in the skills and crafts, any of which in a different industry would have been highly valued and certainly better paid. It was a life without much leisure, yet later in life Thomas started to go after work across the road to Home Place, the home of Mr and Mrs Vinall. They paid him 6d (2.5p) per hour and he asked them to keep it for him to pay for his tombstone. 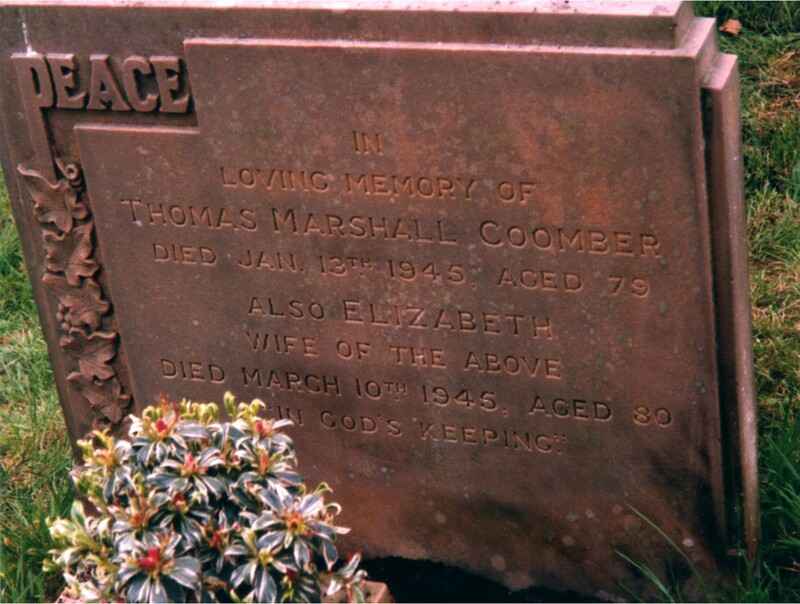 Thomas died in January 1945; his wife Elizabeth two months later. They are buried together in Blackham churchyard just round the corner from the entrance and beneath a handsome stone (right). It cost £72 which I calculate represents nearly 3,000 hours of gardening. I was reminded of Thomas’s headstone because recently I have been visiting several cemeteries in the Shipley area looking for graves in connection with my WW1 research. As well as sometimes collecting valuable information, I feel it does no harm to pay your respects to the people whose lives you have been investigating. 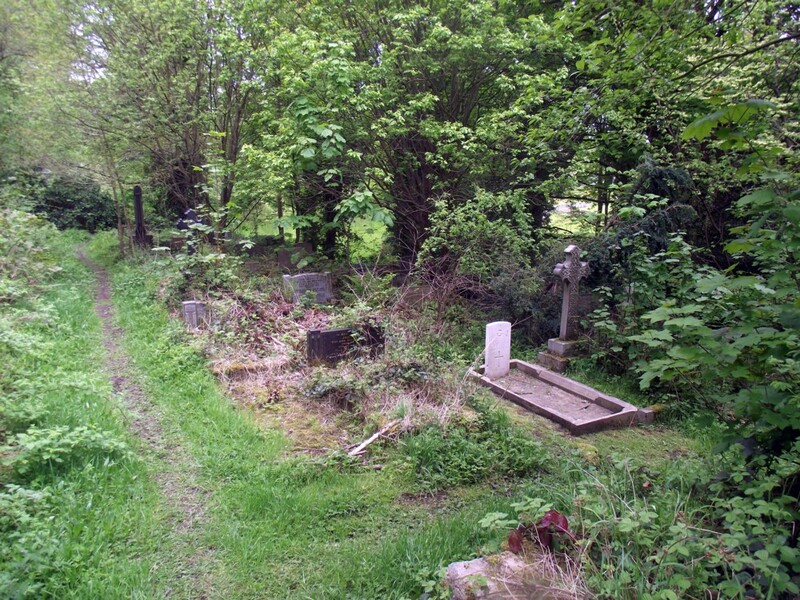 But there is a depressing aspect as well for some of our burial grounds are in a poor state. The words ‘Never Forgotten’ carved on so many gravestones ring a little hollow when you visit places like Windhill Cemetery. 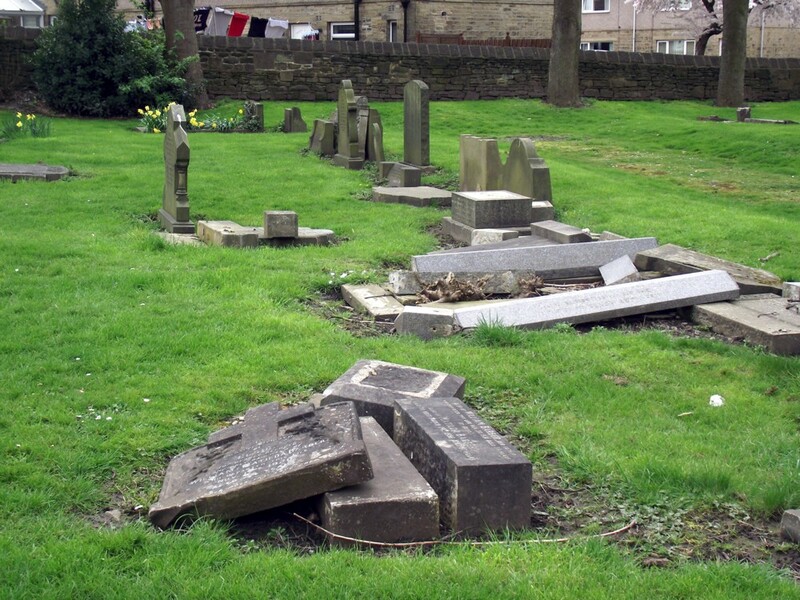 The grass is well cut and there is hardly any litter; people walk there as a relief from the surrounding streets; but many of the gravestones are pushed over, some on their face, while others are broken. Nature has also taken its toll, with the names of the deceased eroded by weather and no longer legible. 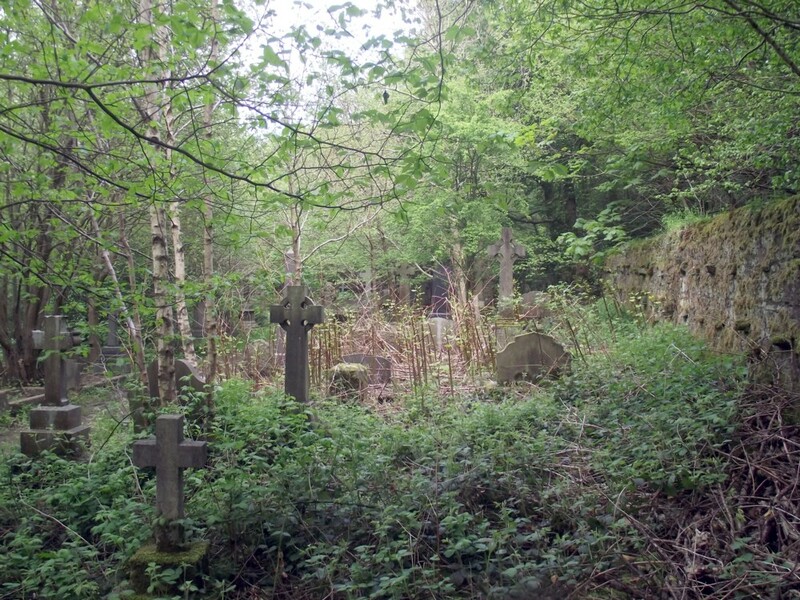 Hirst Wood Cemetery (below), tucked away in a beautiful area of woodland next to Nab Wood Cemetery, is even worse. There the broken graves are choked with weeds and brambles with the few Commonwealth War Grave Commission plots standing out like small oases of order amid the chaos of untended vegetation. Thousands of pounds worth of the mason’s craft and, more importantly, the memorial of lives once lived are as nothing. I am not blaming the families. Quite often they don’t know where great grandparents or other family members were buried. Or they live too far away – and have too busy lives – to tend the graves. If I get to Thomas and Elizabeth’s grave, where my parents’ ashes are also buried, more than every two years, I’ve done well. I also understand the desire to have something left behind to mark the fact that we once lived. The older I get, the more I buy into it. But there must be a better way. My first reaction was that the church, which is not poor, should at least make sure their burial grounds are kept tidy and the gravestones in place. And what about replacing individual gravestones with an easier to maintain memorial wall on which new names are inscribed? There are many admirable examples from wars, why not for ordinary citizens? But then I wondered if in the age of the internet and iPads, lumps of engraved stone are the best way to memorialise our loved ones? We could create a digital cemetery on which each person’s details, including a photograph, could be entered for a modest fee. It would be easy to link them to other family members even if their physical remains ended up on the other side of the world. Families could add the names of those currently on gravestones and also link to other information about the deceased person that might be online. They say that no one is completely dead until the last person says their name. With a digital cemetery ancestors could receive an email on the anniversary of their family member being born and dying, ensuring that at least twice a year, someone speaks their name.